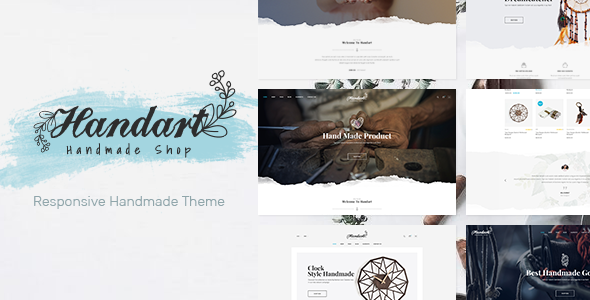 Handart WordPress theme offers you an online store to sell handmade products and other goods with innovative design and powerful features. Handart theme is responsive and retina ready, and you receive a drag and drop page builder for creating content pages by add elements and move to correct positions. Advertising banners come along with the theme, making it much easier to visualize your content and even insert ads on your page. If you plan on having a large collection of crafty products in your online store, Megamenu helps organize them. The Revolution Slider homepage combines wonderfully with the other plugins, and the full-screen photo homepage is highlight of the theme. CSS3 animation effects and Bootstrap 4 work to make your advantage with nice effects. Category is shown in each product. Upload images when hover on a product and customers can see Add To Cart, Add To Compare, Quick View buttons. 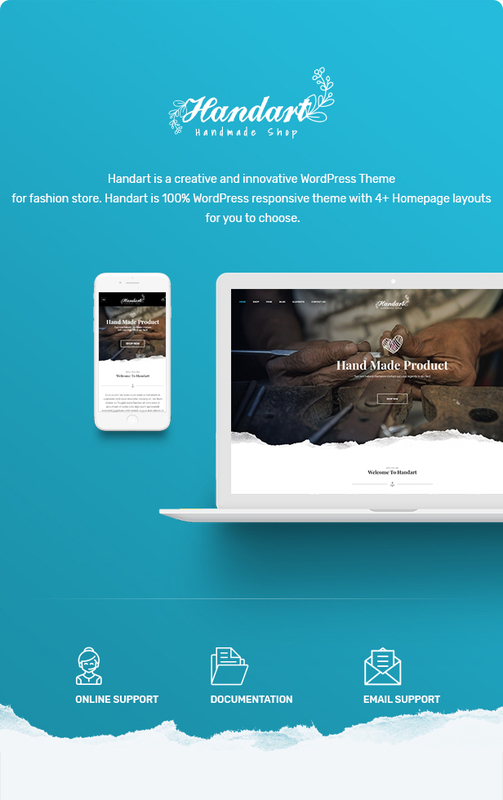 Handart is really a responsive WordPress theme suitable for you!